Young Marie wants to be a ballerina, but her parents have no money for lessons. She must earn what little money she can as an artist's model at a ballet school. 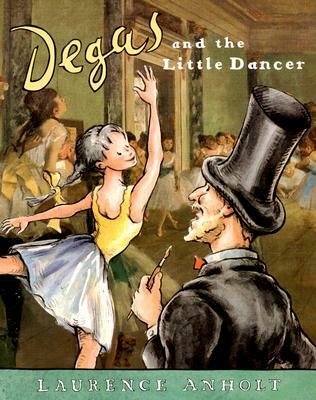 Then, her life takes an unusual turn when she models for the famous sculptor, Edgar Degas.This is a title in Barron's Anholt's Artists Books for Children series, in which author and illustrator Laurence Anholt recalls memorable and sometimes amusing moments when the lives of the artists were touched by children. Anholt's fine illustrations appear on every page and include reproductions of works by the artists.